Welcome to my Natural Health, Wellness & Beauty blog! Here you will find natural health and beauty tips, organic meal recipes, and follow my adventures while traveling. Please subscribe for updates on my posts and exclusive discounts! Mar 10 Benefits of Bath Bombs! There's nothing I love more than taking a relaxing bath with my homemade, all-natural, vegan bath bombs. After years of neglecting bath tubs and treating them as shower floors, I finally reintroduced myself to bath time in college. You'll never know how truly relaxing a bath can be until you've spent 4 straight days pulling all-nighters and cramming for finals. But if those toxic cycles of sleep deprivation and caffeine overdoses for 8 semesters in a row taught me anything, it's that making time for yourself is essential. Sundays have become my personal days, where I just relax, reflect, and make time for me. I'll start by deep conditioning my hair by mixing my conditioner with more oils, warm it all up, apply it to my damp hair, and let it sit in a shower cap for a few hours. During that time I might catch up on some of my favorite shows like Scandal, Saturday Night Live, GIRLS, and Crazy Ex-Girlfried. Then I'll light some candles, plop one of my favorite bath bombs in the tub, turn on my "Yoga" Pandora station, and relax to the sound of waves crashing, violin + piano melodies, or whatever else Pandora chooses for me. I've found that the combination of dim lighting, warm water, Epsom salt, aromatherapy, and soothing music- puts not only my body, but my mind at ease for for than just that hour. By dedicating 1 day each week to relax and let my mind and body recuperate from all of the stress and exhaustion I've put it through all week, I allow myself to become in-tune with my inner being and remind myself the importance of mindfulness. I've always been a fan of bath bombs, and would take frequent trips to LUSH to restock. But after doing some research on LUSH bath bombs, I found out that they contain Sodium Laureth Sulfate Acetate (SLSA). The reason I began making my own line of sulfate-free shampoo was because they were impossible to find at the time, and I wanted to know exactly what was going in to my products. Ever since, I've avoiding using soaps that contained sulfates as well. So after discovering this ingredient in many of the products of my favorite vegan shop, I knew it was time to create my own! So I would like to introduce to you, my vegan, all-natural, SULFATE-FREE homemade bath bombs! Baking Soda: The first ingredient that goes into my bath bombs is baking soda. Baking soda is an all-natural cleanser, with a plethora of benefits for your skin. For starters, it helps remove dead skin cells, which leaves you with softer, smoother skin. It also neutralizes any pH imbalances in the skin. Baking Soda can also clear up any body acne and even out your skin tone. Epsom Salt: Most commonly used in bath salts, Epsom salt is a naturally-occurring mineral that eases muscle aches, relieves stress, soothes sunburn, replenishes moisture back into the skin, and relaxes the body. Epsom salt relieves stress by promoting the production of serotonin and reducing the effects of adrenaline. The magnesium found in Epsom salt also reduces feelings of restlessness or anxiety. Skin can easily absorb Epsom salt when it is dissolved in warm water, and you allow your body to soak in it. Once absorbed, it begins to relieve muscle tension, pain, and inflammation in joints. 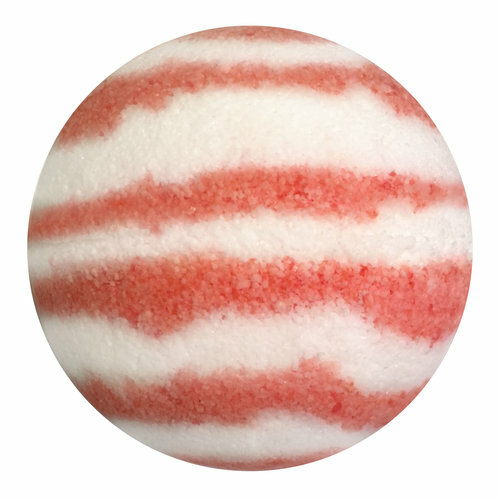 Citric Acid: The key ingredient that makes bath bombs fizz up when put under water, is the combination of baking soda with citric acid. Citric acid is an organic agent that naturally occurs in citric acid fruits like lemons, oranges, and grape fruit. Citric acid helps loosen the damaged layers of your skin, allowing younger, smoother skin to replace it- which is why this ingredient is commonly found in anti-aging skincare products. The antioxidants found in this acid also helps repair skin, and fortify blood vessels. Sweet Almond Oil: known as one of the best oils for your hair and skin, sweet almond oil is included in every one of my bath bombs. This oil is a mild hypoallergenic oil, which makes it safe for sensitive skin. Skin can absorb oils best when they are warmed, and by including them in bath bombs, your skin will feel extra hydrated and soft without feeling greasy. Sweet almond oil is also known for protecting skin against UV radiation damage and keeping skin soft and supple. It can be used to gently dislodge debris from deep within skin pores and follicles, and also may help prevent future acne because of its vitamin A content. 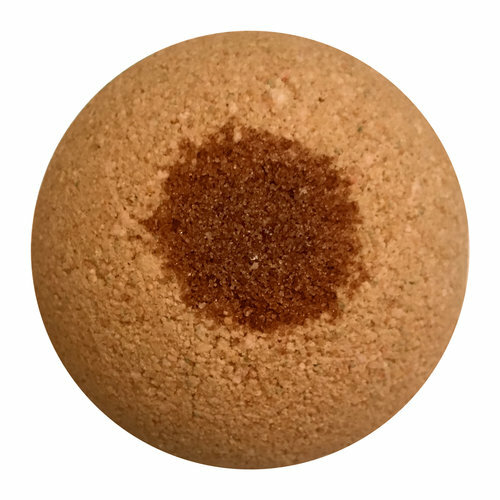 Essential Oil/Fragrance: each bath bomb includes either an essential oil or a fragrance to provide you with an all-in-one aromatherapy session. Aromatherapy is the inhalation or bodily application of fragrant essential oils for therapeutic purposes. Inhaling your favorite scents while soaking in warm water enhances the feeling of well-being. Witch Hazel: the final ingredient, that also helps the bath bomb keep its cylinder shape, is witch hazel. Witch Hazel is a natural astringent produced from the leaves and bark of the North American Witch Hazel shrub. Witch Hazel is commonly used as a facial astringent to reduce acne, but it can also be used to fade bruises, blemishes, and reduce other inflammatory skin conditions. Witch hazel is also great for treating injuries, as it reduces swelling and pain, decreases blood pressure in swollen veins, and its anti-inflammatory properties prevents razor burn. Sep 6 Vote for the newest scent of Batel Conditioner! Get updates on my posts and special discount offers!